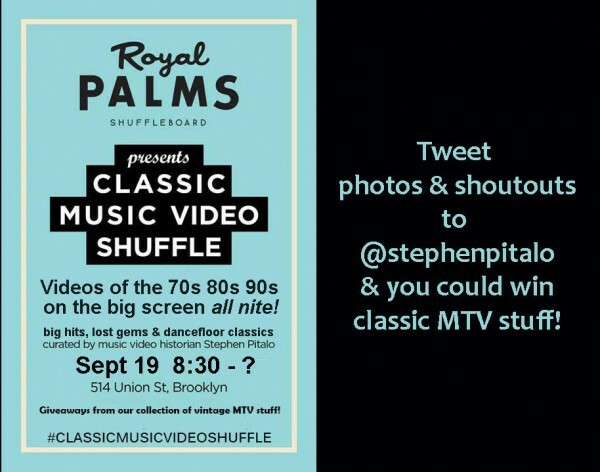 We’re hitting our stride for the fall — and we’re celebrating the 30th anniversary of the first MTV Video Music Awards. It’s a retro video dance party, and we’re playing the hits and nuggets of that year on the big screen, plus a whole lot more! Who can you expect to see? Depeche Mode Duran Duran New Order Madonna Michael Jackson Tears for Fears Phil Collins The Police a-ha Prince INXS Talking Heads Pet Shop Boys Blondie Eurythmics David Bowie Queen Journey Hall & Oates Billy Idol Cyndi Lauper Simple Minds Kate Bush Bon Jovi Echo & the Bunnymen U2 Talk Talk Orchestral Manoeuvres in the Dark The Human League Roxette The Cars Expose Nu Shooz Gerardo Paula Abdul Toto Dire Straits Men at Work Wham! Erasure Huey Lewis & The News Alphaville Joy Division Billy Joel Bryan Adams Fleetwood Mac Lionel Richie R.E.M. George Michael Siouxsie and the Banshees Culture Club Mötley Crüe The Bangles Def Leppard Yaz Bruce Springsteen Pat Benatar The B-52’s Ultravox The Pretenders Spandau Ballet Foreigner Guns N’ Roses Kim Wilde Madness Frankie Goes to Hollywood Soft Cell Kenny Loggins Genesis A Flock of Seagulls ABC Robert Palmer Bonnie Tyler Falco Roxy Music Bananarama Devo Thompson Twins Van Halen Heart Tina Turner The Psychedelic Furs Asia Simply Red The Jesus and Mary Chain Fine Young Cannibals Whitney Houston Beastie Boys Survivor Dead or Alive Oingo Boingo Marky Mark & the Funky Bunch Belinda Carlisle Billy Ocean Peter Gabriel Europe Level 42 REO Speedwagon Rick Astley Janet Jackson and more! We’re giving away great stuff as always, so come see us, tweet up & get cool prizes! Stephen Pitalo, VJ. 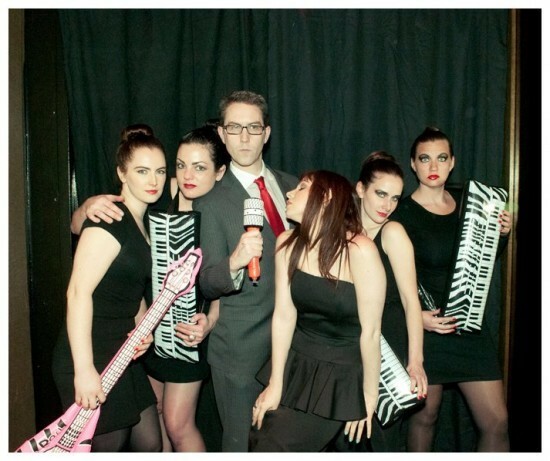 Any attendance of the Addicted to Love girls is purely coincidental.